Tried this recipe the other day, and I gotta be honest, I’ve never tried proscuitto so I was a little bit apprehensive, but I loved this. Just goes to show that I need to start trying new things more often. The proscuitto has a little bit of a different texture, kind of rough, but it worked well with the noodles and peas. And the flavor all together was great! It’s not like a spaghetti where you have extra sauce. The sauce just coats the noodles and that’s it. Which was different for me cause I tend to want that extra sauce, but here the lack of sauce works well cause everything else doesn’t get overpowered and you get the extra moisture from the filling in the tortellini. Overall, super yummy and different! Meanwhile, heat a large skillet over medium heat. Add the olive oil and prosciutto and cook until crisp, 3 to 4 minutes. 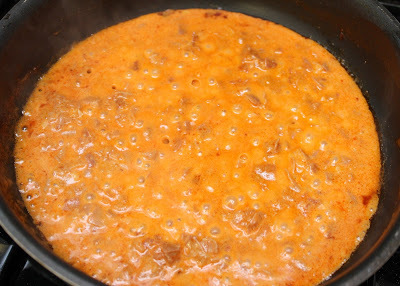 Stir in the garlic and tomato paste and cook until fragrant, about 1 minute. Ladle in about 1 cup of the pasta cooking water and simmer until reduced by about half, 3 to 4 minutes. About 2 minutes befor the tortellini are done, add the peas to the boiling water and cook until just tender. 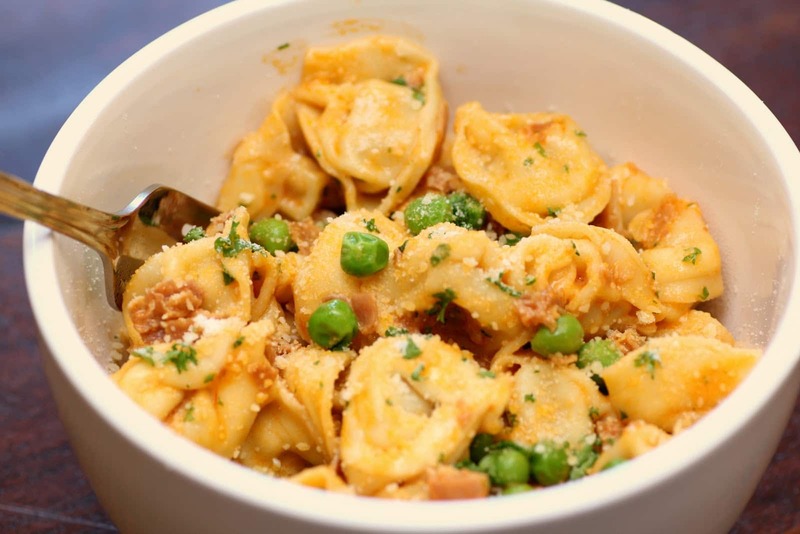 Drain the tortellini and peas and add to the skillet, tossing to coat with the sauce. Stir in the parsley. Sprinkle with the parmesan cheese.